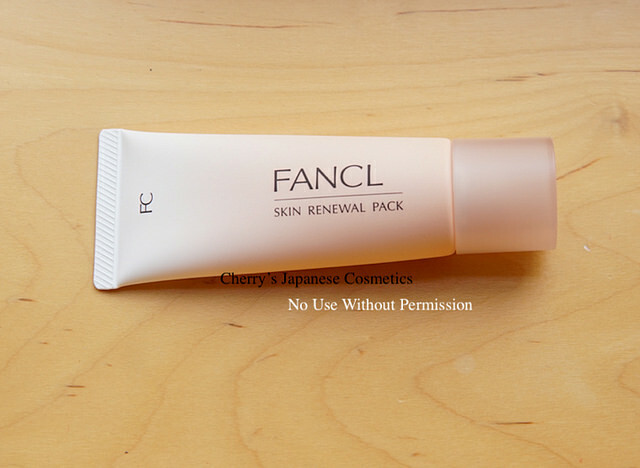 I am using fancl Skin Renewal Pack, a washing pasted face mask. It is April, and I often get sick due to Spring Fever and dust, and so far, I do not have attack of Asthma in this year of 2018. Good. But probably due to the Yellow Dust from Mainland of China, I got my skin super rough. Few years ago, when my skin condition was super rough in Spring, my dermatologist had suggested one possibility of the reason is Yellow Dust. She gave me an ointment, and my skin turned pretty good condition, and in this time, I used that ointment and my skin turned pretty well condition in one night. There are no magic, simply steroid, not so much strong, weaker one. Also, few years ago, in this season I had told with a trustable BC of Albion (she is the best BCs of ever met), she sees many people’s skin. I told her that I am not washing so much due to my skin condition. Her recommend is perfectly opposite. Wash well, when it is truly Yellow Dust is causing, it is from outside, I should better to wash pretty well to remove. And my skin condition is getting better enough to use some moisturisers to absorb, use a lot to let my skin condition well moisturised. I am doing that now. Long story short, I am telling the reason why I am using Fancl Skin Renewal Pack — I am WASHING carefully, at least 4 times per a day with face washes. Usually I do use face washes once per a day at night, and do twice simply “rinse by water” in morning and afternoon (usually after my return from shipping to you). Afterward of my skin, I am feeling it is super dry. I can not miss using moisturisers, and while I sink my body on my bathtub, I am using this Skin Renewal Pack, almost every night. Simply apply this on your face, and spread heavy layer. It is sticky, guess it is hard to place thin layer. Keep it for few mins, I sweat a lot, I often keep till it is getting pulpy with my sweat. And rinse well. My skin afterward itself is not so much moisturised. Indeed after using this pack, I am feeling my skin absorbs my moisturisers more than without using.